I’ve reviewed over a hundred smartphonesover the last couple of years, and there are different features in each cell phone that weigh more when it comes to deciding whether or not it gets a good review or not. Use coupon code: GB4thAnniversary to get 8% off your order. For latest deals, vouchers, and coupons . Here’s the fact: It can be quite demanding purchasing a new smartphone, especially as prices increase beyond $1,000. However, the good thing is that you don’t necessarily need to spend that amount, you just need to know exactly what to look for before making a purchase. Furthermore, with so many different brands, apps, prices, and features making up the smartphone market today, it can be very easy to end up buying a cell phone that doesn’t accurately serve your needs. However, with our cell phones playing a significant part in our lives, investing in a new and good one is not something to take lightly. Therefore, to help you navigate and simplify the buying process, we’ve assembled a list of 5 essential factors that you should really consider as you shop around. So you want a new smartphone? Well, you pretty much have a lot of choices. But before you flash out your credit card to buy something online, you should really take the time to search for the best cell phone plans provided by the different mobile providers. T-Mobile, Verizon, Sprint, and AT&T each have something exciting to offer their customers, and will always provide complete packages such as calls, SMS, and data. Who knows, perhaps now is the right time you to really think of changing your current provider – you can even keep your current phone number. Another thing you need to consider before you start shopping is whether you want a feature phone or a smartphone, as there is a noticeable cost difference between the two. For example, smartphones generally cost more because they function like handheld computer systems, with stable access to the Internet and a variety of built-in and third-party applications. Feature phones, on the other hand, which are apparently cheaper, are used primarily for making phone calls and sending texts messages. However, there are often some added features such as camera, a few games, calculator, and a basic calendar, but again, the principal function of this type of cell phone is to communicate via calls and texts. Additionally, not only is it essential to look at upfront costs when deciding on which phone to spend your money on, but you also need to consider the ongoing cost of a service plan. We understand that it’s great to have access to Facebook, Instagram, and Snapchat, but the cost of carrying a data plan can be enormous, especially if you exceed your plan’s limit. You also need to remember that you’re investing in a product that should last you for about two years or more, which is usually the length of a standard contract. Although low cost may seem attractive upfront, but two years is indeed a lot of time to be stuck with a product that doesn’t offer the features you really wanted or wasn’t worth the investment entirely. The choice is yours. The two most popular operating systems currently are Apple’s iOS and Google’s Android. However, Android is by far the most widely used probably because of its availability on dozens of devices in a variety of designs, and it is also very customizable. On the other hand, Apple prefers quality over quantity, launching just one or two cell phones per year. Although Apple offers numberless third-party applications, iOS permits minimal customization of its user-interface and configuration options are equally much more limited. Furthermore, a third option will be Microsoft’s Windows Phone OS. Users of this OS can integrate popular programs like Outlook and Office, which can give the phone a recognizable feel even if the hardware is entirely new to the user. However, if customization and choice are vital to you, an Android OS will be your best choice. Comparing Android and Apple’s iOS, the Apple store currently provides just four options: iPhone 5S, iPhone 5C, iPhone 6 and iPhone 6+. The Verizon store, on the other hand, offers about 26 different Android models. When you’re planning to purchase your next smartphone, check the internal memory and RAM, but don’t pay attention to just what it says on the sticker. You want to take a look at how much space the preinstalled apps occupy. Although you can use a MicroSD card (if you’re getting an Android phone) to expand the storage capacity of your smartphone, keep in mind that a larger internal memory is always much better than using an external card. Similarly, before you decide on a model with 64 or 128GB of internal memory, consider how much you’ll actually use. For example, will you be using your smartphone as an external hard drive for your computer by saving music, movies, files and heavy applications? If you answered no, you’re probably better off with a 32 GB memory storage. Interestingly, you can also leverage cloud services to save some space on your smartphone and still always have your files accessible, once you have an internet connection. However, as a general rule of thumb, while considering which smartphones to buy based on memory storage, it is advisable to choose at least 2GB of RAM and 16GB of internal storage (although, 32GB is the best compromise, in my opinion). 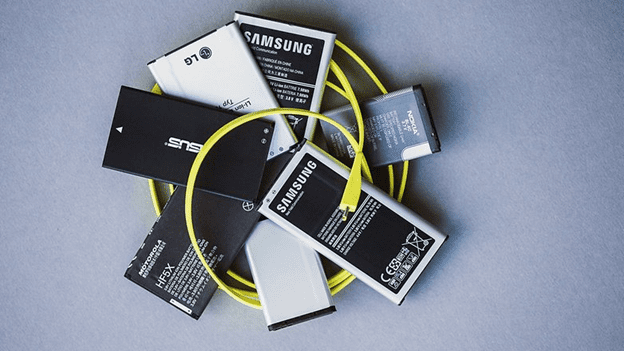 In case you don’t know before, battery life is one of the most critical features to consider when choosing a new smartphone. Do not be deceived, however, a higher number of mAh does not equate to more battery life or a longer battery life cycle. The factors that are used to judge battery life differs and it’s worth being aware them. For instance, you should already know that screens with a higher resolution take up more energy, while the newest processors improve (optimize) battery life. Then there’s quick charging technology and Doze mode. However, instead of just looking at tech specifications, the best thing is to always check out reviews and benchmark results in the market to find out how all these factors work when combines in a single device. At the moment, however, 3,000 mAh seems to be the standard, even though there are devices with over 4,000 mAh. Heart rate monitorBuilt-in fingerprint sensorUV sensorFace recognitionSwiss Army knifeBatmobileEtc? You obviously have an ample of choices here, from the latest popular to mid-range smartphones, you’ll definitely find all the newest hardware innovations. But do not limit yourself to choose a smartphone based on just the hardware features. You should also activate the display and delve into the software to figure out what hidden features are there and if it offers options that work best for you. Again, do you often share the device with your children or friends? Make sure you have parental control or a guest mode. Finally, do you like reading eBooks directly on your smartphone? Choose an interface that lets you adjust the hue of the display and that has some anti-strain eye protection. In summary, don’t judge by appearances alone, you want to thoroughly investigate the system before making a decision. Thanks, i hope it helped?